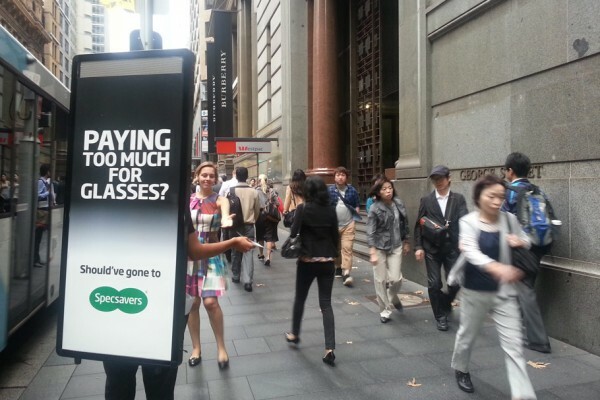 Walking Billboards are a very new and creative option with many advantages. Our walking billboard staff can access anywhere and get your brand in front of anyone you want, offering unbeatable targeting opportunities. 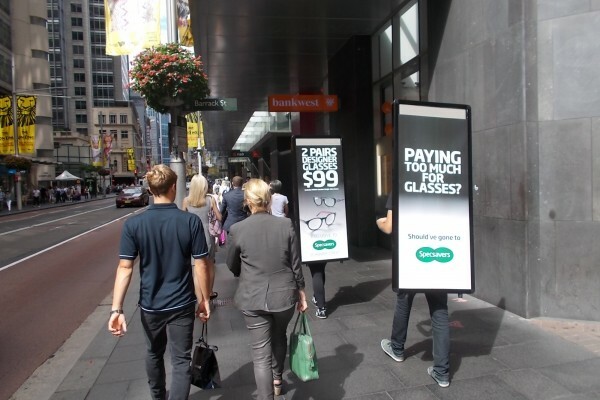 Due to their interactive nature, the public are much more likely to pay attention to the branding or message than they are with fixed advertising options. 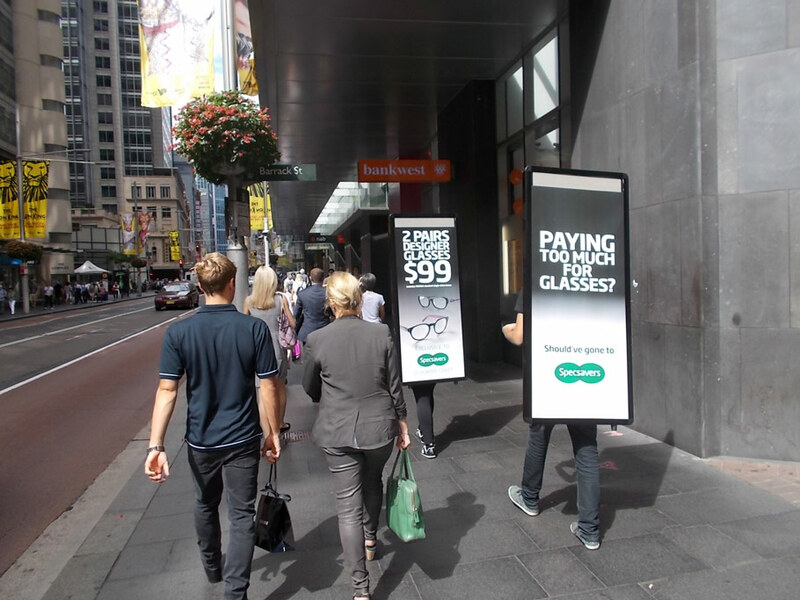 Walking Billboards are perfect for creating positive brand awareness, made stronger by the level of interaction the public can have with our staff. Never underestimate how much a smiling brand ambassador can do for your brand image. Walking Boards are also highly cost effective, as there is no transport and fuel costs. Click on the tabs on the right to see our recommended uses for Walking Billboards and extensive extra options on offer. If you have any questions, or if your ready to get started, call us today so we can start planning your perfect campaign. 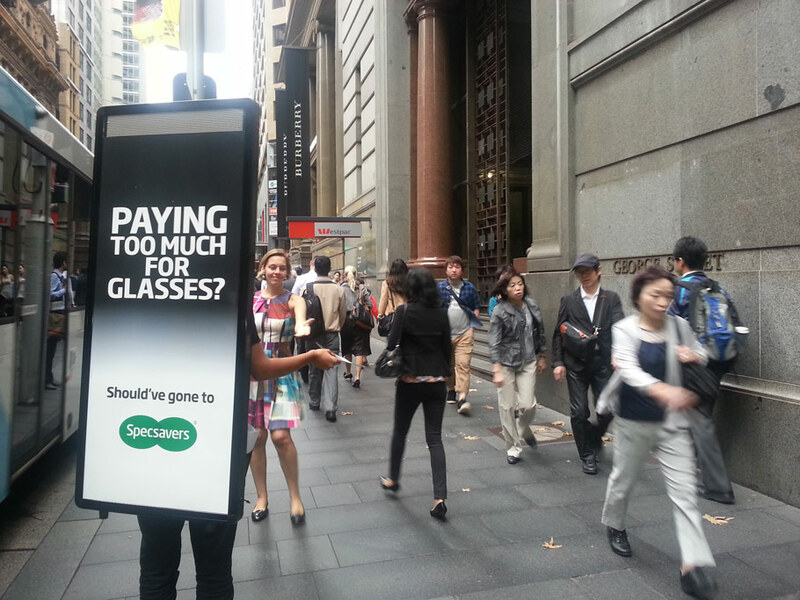 No Additional Cost – All features can be added to your campaign at No Additional Cost. 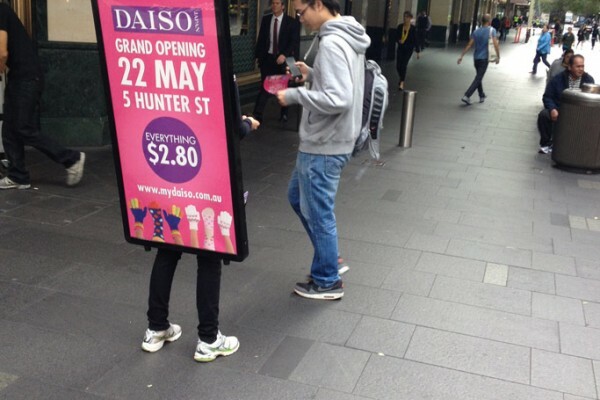 Walking Billboards are the perfect medium for raising brand awareness and creating a positive brand image. Our smiling staff provide a lasting impression that traditional advertising formats cannot match. 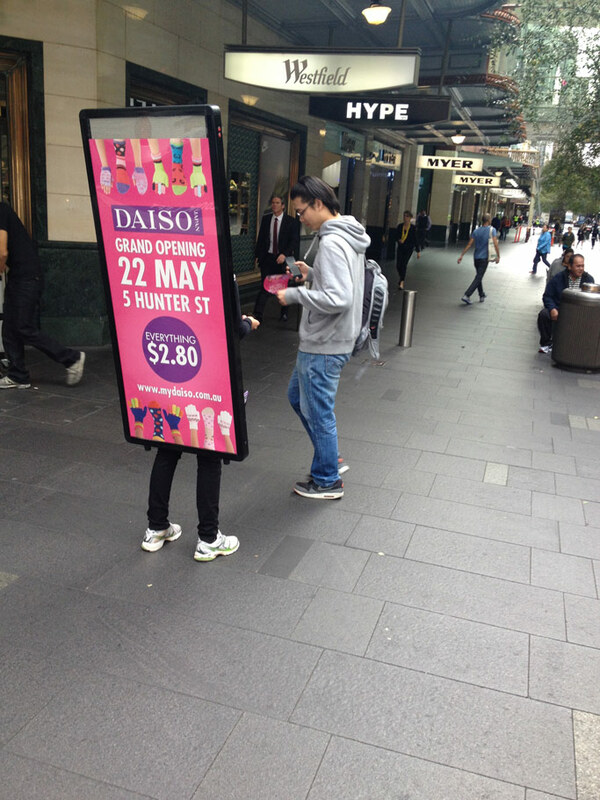 Try pairing Walking Billboards with our other services to maximise the effectiveness and efficiency of your campaign!